The dictionary definition of resilience is “something that is capable of returning to its original shape after being stretched, bent or otherwise deformed“. The term is applied to inanimate objects, to people and to systems. A rubber ball is resilient … it is that physical property that gives it bounce. A person is described as resilient if they are able to cope with stress without being psychologically deformed in the process. Emotional resilience is regarded as an asset. 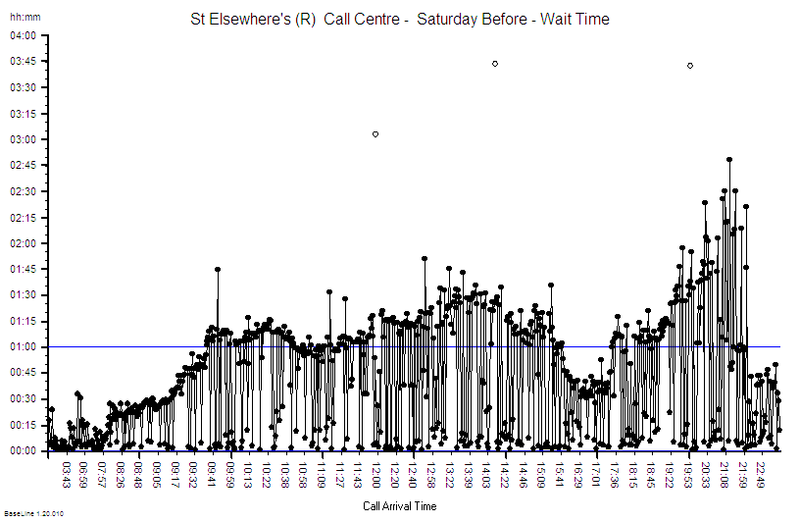 Systems are described as resilient when they are able to cope with variation without failing. And this use of the term is associated with another concept: strength. Strong things can withstand a lot of force before they break. Strength is not the same as resilience. Engineers use another term – strain – which means the amount of deformation that happens when a force is applied. Stress is the force applied, strain is the deformation that results. So someone who is strong and resilient will not buckle under high pressure and will absorb variation – like the suspension of you car. But is strength-and-resilience always an asset? Suppose some strong and resilient people finds themselves in a relentlessly changing context … one in which they actually need to adapt and evolve to survive in the long term. How well does their highly valued strength-and-resilience asset serve them? They will resist the change – they are resilient – and they will resist it for a long time – they are strong. But the change is relentless and eventually the limit of their strength will be reached … and they snap! And when that happens all the stored energy is suddenly released. So they do not just snap – they explode! Just like the wall in the animation above. The final straw that triggers the sudden failure may appear insignificant … and at any other time it would be. But when the pressure is really on and the system is at the limit then it can be just enough to trigger the catastrophic failure from which there is no return. Social systems behave in exactly the same way. Those that have demonstrated durability are both strong and resilient – but in a relentlessly changing context even they will fail eventually, and when they do the collapse is sudden and catastrophic. Structural engineers know that catastrophic failure usually starts as a localised failure and spreads rapidly through the hyper-stressed structure; each part failing in sequence as it becomes exposed and exceeds the limit of its strength. That is how the strong and resilient Twin Towers failed and fell on Sept 11th 2001. They were not knocked over. They were weakened to the point of catastrophic failure. When systems are exposed to varying strains then these localised micro-fractures only occur at the peaks of stress and may not have time to spread very far. The damage is done though. The system is a bit weaker than it was before. And catastrophic failure is more likely in the future. That is what caused the sudden loss of some of the first jet airliners which inexplicably just fell out of the sky on otherwise uneventful flights. It took a long time for the root cause to be uncovered … the square windows. Jet airliners fly at high altitude because it allows higher speeds and requires less fuel and so allows long distance flight over wide oceans, steppes, deserts and icecaps. But the air pressure is low at high altitude and passengers could not tolerate that; so the air pressure inside an airliner at high altitude is much higher than outside. It is a huge pressurised metal flying cannister. And as it goes up and down the thin metal skin is exposed to high variations in stress which a metal tube can actually handle rather well … until we punch holes in it to fit windows to allow our passengers a nice view of the clouds outside. We are used to square windows in our houses (because they are easier to make) so the original aircraft engineers naturally put square windows in the early airliners. And that is where the problem arose … the corners of the windows concentrate the stress and over time, with enough take-offs and landings, the metal skin at the corners of the windows will accumulate invisible micro-fractures. The metal actually fatigues. Then one day – pop – a single rivet at the corner of a square window fails and triggers the catastrophic failure of the whole structure. But the aircraft designers did not understand that process and it took quite a long time to diagnose the root cause. A more resilient design – use round-cornered windows that dissipate the strain rather than concentrate it. It was that simple! So what is the equivalent resilient design for social system? Adaptability. But how it is possible for a system to be strong, resilient and adaptable? The design trick is to install “emotional strain gauges” that indicate when and where the internal cultural stress is being concentrated and where the emotional strain shows first. These emotometers will alert us to where the stresses and strains are being felt strongest and most often – rather like pain detectors. We use the patterns of information from our network of emotometers to help us focus our re-design attention to continuously adapt parts of our system to relieve the strain and to reduce the system wide risk of catastrophic failure. And by installing emotometers across our system we will move towards a design that is strong, resilient and that continuously adapts to a changing environment. Welcome to complex adaptive systems engineering (CASE). In a recent blog we explored the subject of learning styles and how a balance of complementary learning styles is needed to get the wheel-of-change turning. Experience shows that many of us show a relative weakness in the ‘Activist’ quadrant of the cycle. That implies we are less comfortable with learning-by-doing. Experimenting. This behaviour is driven by a learned fear. The fear-of-failure. So when did we learn this fear? Typically it is learned during childhood and is reinforced throughout adulthood. The fear comes not from the failure though … it comes from the emotional reaction of others to our supposed failure. The emotional backlash of significant others. Parents and parent-like figures such as school teachers. Children are naturally curious and experimental and fearless. That is how they learn. They make lots of mistakes – but they learn from them. Walking, talking, tying a shoelace, and so on. Small mistakes do not created fear. We learn fear from others. 1) We say “Don’t do that” when we see our child attempt something in a way we believe will not work or we believe could cause an accident. We teach them our fears. 2) We say “No” when we disagree with an idea or an answer that a child has offered. We discount them by discounting their ideas. 3) We say “I’ll do it” when we see a child try and fail. We discount their ability to learn how to solve problems and we discount our ability to let them. Our emotional reaction is negative in all three cases and that is what teaches our child the fear of failure. So they stop trying as hard. And bit-by-bit they lose their curiosity and their courage. We have now put them on the path to scepticism and cynicism. Which is how we were taught. This fear-of-failure brainwashing continues at school. But now it is more than just fear of disappointing our parents; now it is fear of failing tests and exams … fear of the negative emotional backlash from peers, teachers and parents. Some give up: they flee. Others become competitive: they fight. Neither strategies dissolve the source of the fear though … they just exacerbate it. So it is rather too common to see very accomplished people paralysed with fear when circumstances dictate that they need to change in some way … to learn a new skill for example … to self-improve maybe. Their deeply ingrained fear-of-failure surfaces and takes over control – and the fright/flight/fight behaviour is manifest. So to get to the elusive win-win-win outcomes we want we have to weaken the fear-of-failure reflex … we need to develop a new habit … learning-by-doing. The trick to this is to focus on things that fall 100% inside our circle of control … the Niggles that rank highest on our Niggle-o-Gram®. And when we Study the top niggle; and then Plan the change; and then Do what we planned, and then Study effect of our action … then we learn-by-doing. But not just by doing …. by Studying, Planning, Doing and Studying again. Actions Speak not just to us but to everyone else too. Systems are made of interdependent parts that link together – rather like a jigsaw. If pieces are distorted, missing, or in the wrong place then the picture is distorted and the system does not work as well as it could. And if pieces of one jigsaw are mixed up with those of another then it is even more difficult to see any clear picture. A system of improvement is just the same. There are many improvement jigsaws each of which have pieces that fit well together and form a synergistic whole. Lean, Six Sigma, and Theory of Constraints are three well known ones. Each improvement jigsaw evolved in a different context so naturally the picture that emerges is from a particular perspective: such as manufacturing. So when the improvement context changes then the familiar jigsaws may not work as well: such as when we shift context from products to services, and from commercial to public. A public service such as healthcare requires a modified improvement jigsaw … so how do we go about getting that? One way is to ‘evolve’ an old jigsaw into a new context. That is tricky because it means adding new pieces and changing old pieces and the ‘zealots’ do not like changing their familiar jigsaw so they resist. Another way is to ‘combine’ several old jigsaws in the hope that together they will provide enough perspectives. That is even more tricky because now you have several tribes of zealots who resist having their familiar jigsaws modified. What about starting with a blank canvas and painting a new picture from scratch? Well it is actually very difficult to create a blank canvas for learning because we cannot erase what we already know. Our current mental model is the context we need for learning new knowledge. So what about using a combination of the above? What about first learning a new creative approach called design? And within that framework we can then create a new improvement jigsaw that better suits our specific context using some of the pieces of the existing ones. We may need to modify the pieces a bit to allow them to fit better together, and we may need to fashion new pieces to fill the gaps that we expose. But that is part of the fun. The improvement jigsaw shown here is a new hybrid. It has been created from a combination of existing improvement knowledge and some innovative stuff. Pareto analysis was described by Vilfredo Pareto over 100 years ago. So that is tried and tested! Time-series charts were invented by Walter Shewhart almost 100 years ago. So they are tried and tested too! The combination of Pareto and Shewhart tools have been used very effectively for over 50 years. The combination is well proven. The other two pieces are innovative. They have different parents and different pedigrees. And different purposes. 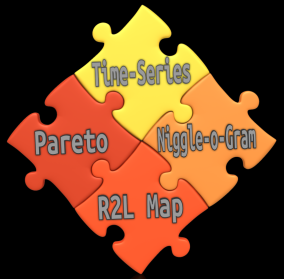 The Niggle-o-Gram® is related to 2-by-2, FMEA and EIQ and the 4N Chart®. It is the synthesis of them that creates a powerful lens for focussing our improvement efforts on where the greatest return-on-investment will be. The Right-2-Left Map® is a descendent of the Design family and has been crossed with Graph Theory and Causal Network exemplars to introduce their best features. Its purpose is to expose errors of omission. The emergent system is synergistic … much more effective than each part individually … and more even than their linear sum. So when learning this new Science of Improvement we have to focus first on learning about the individual pieces and we do that by seeing examples of them used in practice. That in itself is illuminating! As we learn about more pieces a fog of confusion starts to form and we run the risk of mutating into a ‘tool-head’. We know about the pieces in detail but we still do not see the bigger picture. To avoid the tool-head trap we must balance our learning wheel and ensure that we invest enough time in learning-by-doing. Then one day something apparently random will happen that triggers a ‘click’. Familiar pieces start to fit together in a unfamiliar way and as we see the relationships, the sequences, and the synergy – then a bigger picture will start to emerge. Slowly at first and then more quickly as more pieces aggregate. Suddenly we feel a big CLICK as the final pieces fall into place. The fog of confusion evaporates in the bright sunlight of a paradigm shift in our thinking. The way forward that was previously obscured becomes clearly visible. And we are off on the next stage of our purposeful journey of improvement. One of the essential components of an adaptive system is effective feedback. Without feedback we cannot learn – we can only guess and hope. So the design of our feedback loops is critical-to-success. Many people do not like getting feedback because they live in a state of fear: fear of criticism. This is a learned behaviour. Many people do not like giving feedback because they too live in a state of fear: fear of conflict. This is a learned behaviour. And what is learned can be unlearned; with training, practice and time. But before we will engage in unlearning our current habit we need to see the new habit that will replace it. The one that will work better for us. The one that is more effective. The one that will require less effort. The one that is more efficient use of our most precious resource: life-time. There is an effective and efficient feedback technique called The 4N Chart®. And I know it works because I have used it and demonstrated to myself and others that it works. And I have seen others use it and demonstrate to themselves and others that it works too. 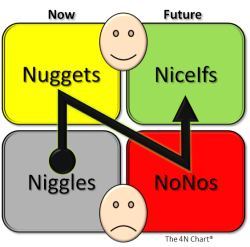 The 4N Chart® has two dimensions – Time (Now and Future) and Emotion (Happy and Unhappy). This gives four combinations each of which is given a label that begins with the letter ‘N’ – Niggles, Nuggets, NoNos and NiceIfs. The N has a further significance … it reminds us which order to move through the chart. We start bottom left with the Niggles. What is happening now that causes us to feel unhappy. What are these root causes of our niggles? And more importantly, which of these do we have control over? Knowing that gives us a list of actions that we can do that will have the effect of reducing our niggles. And we can start that immediately because we do not need permission. Next we move top-left to the Nuggets. What is happening now that causes us to feel happy? What are the root causes of our nuggets? Which of these do we control? We need to recognise these too and to celebrate them. We need to give ourselves a pat on the back for them because that helps reinforce the habit to keep doing them. Now we look to the future – and we need to consider two things: what we do not want to feel in the future and what we do want to feel in the future. These are our NoNos and our NiceIfs. It does not matter which order we do this … but we must consider both. Many prefer to consider dangers and threats first … that is SAFETY FIRST thinking and is OK. First Do No Harm. Primum non nocere. So with the four corners of our 4N Chart® filled in we have a balanced perspective and we can set off on the journey of improvement with confidence. Our 4N Chart® will help us stay on track. And we will update it as we go, as we study, as we plan and as we do things. As we convert NiceIfs into Nuggets and Niggles into NoNos. It sounds simple. It is in theory. It is not quite as easy to do. It takes practice … particularly the working backwards from the effect (the feeling) to the cause (the facts). This is done step-by-step using Reality as a guide – not our rhetoric. And we must be careful not to make assumptions in lieu of evidence. We must be careful not to jump to unsupported conclusions. That is called pre-judging. Prejudice. But when you get the hang of using The 4N Chart® you will be amazed at how much more easily and more quickly you make progress. The image of a tornado is what many associate with improvement. An unpredictable, powerful, force that sweeps away the wood in its path. It certainly transforms – but it leaves a trail of destruction and disappointment in its wake. It does not discriminate between the green wood and the dead wood. A whirlwind is created by a combination of powerful forces – but the trigger that unleashes the beast is innocuous. The classic ‘butterfly wing effect’. A spark that creates an inferno. This is not the safest way to achieve significant and sustained improvement. A transformation tornado is a blunt and destructive tool. All it can hope to achieve is to clear the way for something more elegant. Improvement Science. We need to build the capability for improvement progressively and to build it effective, efficient, strong, reliable, and resilient. In a word – trustworthy. We need a durable structure. But what sort of structure? A tower from whose lofty penthouse we can peer far into the distance? A bridge between the past and the future? A house with foundations, walls and a roof? Do these man-made edifices meet our criteria? Well partly. Let us see what nature suggests. What are the naturally durable designs? Suppose we have a bag of dry sand – an unstructured mix of individual grains – and that each grain represents an improvement idea. Suppose we have a specific issue that we would like to improve – a Niggle. Let us try dropping the Improvement Sand on the Niggle – not in a great big reactive dollop – but in a proactive, exploratory bit-at-a-time way. What shape emerges? What we see is illustrated by the hourglass. We get a pyramid. The shape of the pyramid is determined by two factors: how sticky the sand is and how fast we pour it. What we want is a tall pyramid – one whose sturdy pinnacle gives us the capability to see far and to do much. The stickier the sand the steeper the sides of our pyramid. The faster we pour the quicker we get the height we need. But there is a limit. If we pour too quickly we create instability – we create avalanches. So we need to give the sand time to settle into its stable configuration; time for it to trickle to where it feels most comfortable. So when developing a strategy for building improvement capability we build small pyramids where the niggles point to. Over time they will merge and bigger pyramids will appear and merge – until we achieve the height. Then was have a stable and capable improvement structure. One that we can use and we can trust. Just from sprinkling Improvement Science Sand on our Niggles. <Bob> Hi Leslie how are you to today? <Leslie> I am good thanks Bob and looking forward to today’s session. What is the topic? <Bob> We will use your Niggle-o-Gram® to choose something. What is top of the list? <Leslie> Let me see. We have done “Engagement” and “Productivity” so it looks like “Near-Misses” is next. <Bob> OK. That is an excellent topic. What is the specific Niggle? <Bob> OK so the Purpose is to have a system that we can trust not to generate avoidable harm. Is that OK? <Leslie> Yes – well put. When I ask myself the purpose question I got a “do” answer rather than a “have” one. The word trust is key too. <Bob> OK – what is the current safety design used in your organisation? <Leslie> We have a computer system for reporting near misses – but it does not deliver the purpose above. If the issue is ranked as low harm it is just counted, if medium harm then it may be mentioned in a report, and if serious harm then all hell breaks loose and there is a root cause investigation conducted by a committee that usually results in a new “you must do this extra check” policy. <Bob> Ah! The Burn-and-Scrape model. <Leslie>Pardon? What was that? Our Governance Department call it the Swiss Cheese model. <Bob> Burn-and-Scrape is where we wait for something to go wrong – we burn the toast – and then we attempt to fix it – we scrape the burnt toast to make it look better. It still tastes burnt though and badly burnt toast is not salvageable. <Leslie>Yes! That is exactly what happens all the time – most issues never get reported – we just “scrape the burnt toast” at all levels. <Bob> One flaw with the Burn-and-Scrape design is that harm has to happen for the design to work. Another design flaw is that it focuses attention on the serious harm first – avoidable mortality for example. Counting the extra body bags completely misses the purpose. Avoidable death means avoidably shortened lifetime. Avoidable non-fatal will also shorten lifetime – and it is even harder to measure. Just consider the cumulative effect of all that non-fatal life-shortening avoidable-but-ignored harm? Most of the reasons that we live longer today is because we have removed a lot of lifetime shortening hazards – like infectious disease and severe malnutrition. Take health care as an example – accurately measuring avoidable mortality in an inherently high-risk system is rather difficult. And to conclude “no action needed” from “no statistically significant difference in mortality between us and the global average” is invalid and it leads to a complacent delusion that what we have is good enough. When it comes to harm it is never “good enough”. <Leslie> But we do not have the resources to investigate the thousands of cases of minor harm – we have to concentrate on the biggies. <Bob> And do the near misses keep happening? <Leslie> Yes – that is why they are top rank on the Niggle-o-Gram®. <Bob> So the Burn-and-Scrape design is not fit-for-purpose. <Leslie> So it seems. But what is the alternative? If there was one we would be using it – surely? <Bob> Look back Leslie. How many of the Improvement Science methods that you have already learned are business-as-usual? <Leslie> Good point. Almost none. <Bob> And do they work? <Bob> This is another example. It is possible to design systems to be safe – so the frequent near misses become rare events. <Leslie> Is it? Wow! That know-how would be really useful to have. Can you teach me? <Bob> Yes. First we need to explore what the benefits would be. <Leslie> OK – well first there would be no avoidable serious harm and we could trust in the safety of our system – which is the purpose. <Leslie> And … all the effort, time and cost spent “scraping the burnt toast” would be released. <Leslie> The safer-by-design processes would be quicker and smoother, a more enjoyable experience for both customers and suppliers, and probably less expensive as well! <Bob> Yes. So what does that all add up to? <Bob> Indeed. So a one-off investment of effort, time and money in learning Safety-by-Design methods would appear to be a wise business decision. <Leslie> Yes indeed! When do we start? <Bob> We have already started. For a real-world example of this approach delivering a significant and sustained improvement in safety click here. The growing debate about the safety of our health care systems is gaining momentum. This is not just a UK phenomenon. The same question was being asked 10 years ago across the pond by many people – perhaps the most familiar name is Don Berwick. The term Improvement Science has been buzzing around for a long time. This is a global – not just a local challenge. Seeing the shameful reality in black-and-white [the Francis Report] is a nasty shock to everyone. There are no winners here. Our blissful ignorance is gone. Painful awareness has arrived. The usual emotional reaction to being shoved from blissful ignorance into painful awareness is characteristic; and it does not matter if it is discovering horse in your beef pie or hearing of 1200 avoidable deaths in a UK hospital. It is the psychological healing process that is called the grief reaction and it is a normal part of the human psyche. We all do it. And we do it both individually and collectively. I remember well the global grief reactions that followed the sudden explosion of Challenger; the sudden death of Princess Diana; and the sudden collapse of the Twin Towers. Fortunately such avoidable tragedies are uncommon. The same chain-reaction happens to a lesser degree in any sudden change. We grieve the loss of our old way of thinking – we mourn the passing away our comfortable rhetoric that has been rudely and suddenly disproved by harsh reality. This is the Nerve Curve. And learning to ride it safely is a critical-to-survival life skill. Especially in turbulent times. The UK population has suffered two psychological shocks in recent weeks – the discovery of horse in the beef pie and the fuller public disclosure of the story behind the 1000’s of avoidable deaths in one of our Trust hospitals. Both are now escalating and the finger of blame is pointing squarely at a common cause: the money-tail-wagging-the-safety-dog. So what will happen next? The Wall of Denial has been dynamited with hard evidence. We are now into the Collective Anger phase. First there will be widespread righteous indignation and a strong desire to blame, to hunt down the evil ones, and to crucify the responsible and accountable. Partly as punishment, partly as a lesson to others, and partly to prevent them doing harm again. Uncontrolled anger is dangerous especially when there is a lethal weapon to hand. The more controlled, action-oriented and future-focused will want to do something about it. Now! There will be rallies, and soap-boxes, and megaphones. The We-Told-You-So brigade will get shoved aside and trampled in the rush to do something – ANYTHING. Conferences will be hastily arranged and those most fearful for their reputations and jobs will cough up the cash and clear their diaries. They will be expected to be there. They will be. Desperately looking for answers. Anxiously seeking credible leaders. And the snake-oil salesmen will have a bonanza! The calmer, more reflective, phlegmatic, academic types will call for more money for more research so that we can fully analyse and fully understand the problem before we do anything. And while the noisy bargaining for more cash keeps everyone busy the harm will continue to happen. Eventually the message will sink in as the majority accept that there is no way to change the past; that we cannot cling to what is out-of-date thinking; and that all of our new-reality-avoiding tactics are fruitless. And we are forced to accept that there is no more cash. Now we are in danger of becoming helpless and hopeless, slipping into depression, and then into despair. We are at risk of giving up and letting ourselves wallow and drown in self-pity. This is a dangerous phase. Depression is understandable but it is avoidable because there is always something than can be done. We can always ask the elephant-in-the-room questions. Inside we usually know the answers. We accept the new reality; we accept that we cannot change the past, we accept that we have some learning to do; we accept that we have to adjust; and we accept that all of us can do something. Now we have reached the most important stage – resolution. This is the test of our resolve. Are we all-talk or can we convert talk-to-walk? I have asked myself that question and my first answer was “As a system designer I can help by looking at this challenge as a design assignment and describe what I see “. Design starts with the intended outcome, the vision, the goal, the objective, the specification, the target. The design goal is: Significant reduction in avoidable harm in the NHS, quickly, and at no extra cost. Now we can invite, gather, dream-up, brain-storm any number of design options and then we can consider logically and rationally how well they might meet our design goal. What are some of the design options on the table? Design Option 1. Create a cadre of hospital inspectors. Nope – that will take time and money and inspection alone does not guarantee better outcomes. We have enough evidence of that. Design Option 2. Get lots more PhDs funded, do high quality academic research, write papers, publish them and hope the evidence is put into practice. Nope – that will take time and money too and publication alone does not guarantee adoption of the lessons and delivery of better outcomes. We have enough evidence of that too. What is proven to be efficacious in a research trial is not necessarily effective, practical or affordable in reality. Design Option 3. Put together conferences and courses to teach/train a new generation of competent healthcare improvement practitioners. 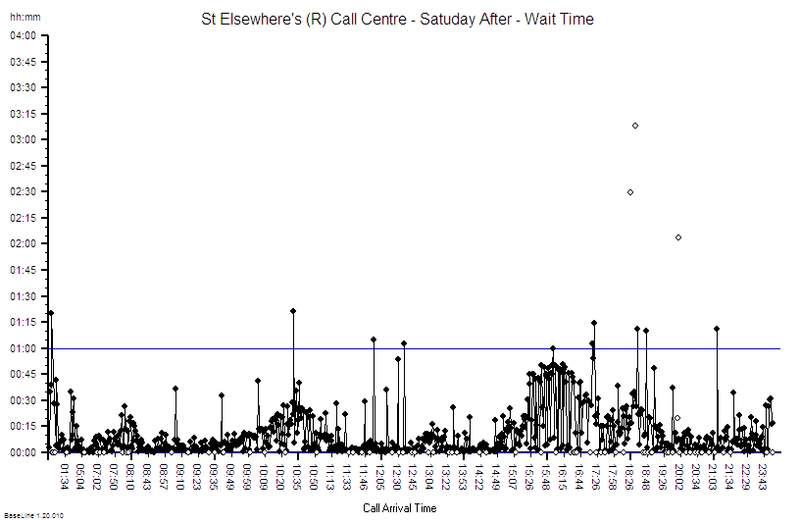 Maybe – it has the potential to deliver the outcome but it too will take time and money. We have been doing conferences and courses for decades – they are not very cost-effective. The Internet may have changed things though. Design Option 4. All of the above plus broadcast via the Internet the current pragmatic know-how of the basics of safe system design to everyone in the NHS so that they know what is possible and they know how to get started. Promising – it has the greatest potential to deliver the required outcome, a broadcast will cost nothing and it can start working immediately. Definition 1: Safe means free of risk of harm. Definition 2: Harm is the result of hazards combining with risks. There are two components to safe system design – the people stuff and the process stuff. For example a busy main road is designed to facilitate the transport of stuff from A to B. It also represents a hazard – the potential for harm. If the vehicles bump into each other or other things then harm will result. So a lot of the design of the vehicles and the roads is about reducing the risk of bumps or mitigating the effects (e.g. seat-belts). The risk is multi-factorial. If you drive at high speed, under the influence of recreational drugs, at night, on an icy road then the probability of having a bump is high. If you step into a busy road without looking then the risk of getting bumped into is high too. So the path to better safety is to eliminate as many hazards as possible and to reduce the risks as much as possible. And we have to do that without unintentionally creating more hazards, higher risks, excessive delays and higher costs. So how is this done outside healthcare? One tried-and-tested method for designing safer processes is called FMEA – Failure Modes and Effects Analysis. Now that sounds really nerdy and it is. It is an attention-to-detail exercise that will make your brain ache and your eyes bleed. But it works – so it is worthwhile learning the basic principles. For the people part there is the whole body of Human Factors Research to access. This is also a bit nerdy for us hands-on oily-rag pragmatists so if you want something more practical immediately then have a go with The 4N Chart and the Niggle-o-Gram (which is a form of emotional FMEA). This short summary is also free to download, read, print, copy, share, discuss and use. OK – I am off to design and build something else – an online course for teaching safety-by-design. What are you going to do to help improve safety in the NHS? Posted in 4N Chart, Healthcare, Niggle-o-Gram, Reflections, Safety, Techniques, Tools, Training, Trust | Comments Off on What Can I Do To Help? Getting started on improvement is not easy. It feels like we have to push a lot to get anywhere and when we stop pushing everything just goes back to where it was before and all our effort was for nothing. And it is easy to become despondent. It is easy to start to believe that improvement is impossible. It is easy to give up. It is not easy to keep going. One common reason for early failure is that we often start by trying to improve something that we have little control over. Which is natural because many of the things that niggle us are not of our making. But not all Niggles are like that; there are also many Niggles over which we have almost complete control. It is these close-to-home Niggles that we need to start with – and that is surprisingly difficult too – because it requires a bit of time-investment. Q: Too busy doing what – specifically? This simple question is a good place to start because just setting aside a few minutes each day to reflect on where we have been spending our time is a worthwhile task. And the output of our self-reflection is usually surprising. We waste lifetime every day doing worthless work. Then we complain that we are too busy to do the worthwhile stuff. Q: So what are we scared of? Facing up to the uncomfortable reality of knowing how much lifetime we have wasted already? We cannot change the past. We can only influence the future. So we need to learn from the past to make wiser choices. Lifetime is odd stuff. It both is and is not like money. We can waste lifetime and we can waste money. In that respect they are the same. Money we do not use today we can save for tomorrow, but lifetime not used today is gone forever. We know this, so we have learned to use up every last drop of lifetime – we have learned to keep ourselves busy. And if we are always busy then any improvement will involve a trade-off: dis-investing and re-investing our lifetime. This implies the return on our lifetime re-investment must come quickly and predictably – or we give up. One tried-and-tested strategy is to start small and then to re-invest our time dividend in the next cycle of improvement. An if we make wise re-investment choices, the benefit will grow exponentially. Successful entrepreneurs do not make it big overnight. If we examine their life stories we will find a repeating cycle of bigger and bigger business improvement cycles. The first thing successful entrepreneurs learn is how to make any investment lead to a return – consistently. It is not luck. They practice with small stuff until they can do it reliably. Successful entrepreneurs are disciplined and they only take calculated risks. Unsuccessful entrepreneurs are more numerous and they have a different approach. They are the get-rich-quick brigade. The undisciplined gamblers. And the Laws of Probability ensure that they all will fail eventually. Sustained success is not by chance, it is by design. The same is true for improvement. The skill to learn is how to spot an opportunity to release some valuable time resource by nailing a time-sapping-niggle; and then to reinvest that time in the next most promising cycle of improvement – consistently and reliably. It requires discipline and learning to use some novel tools and techniques. This is where Improvement Science helps – because the tools and techniques apply to any improvement. Safety. Flow. Quality. Productivity. Stability. Reliability. In a nutshell … trustworthy. The first step looks the steepest because the effort required feels high and the benefit gained looks small. But it is climbing the first step that separates the successful from the unsuccessful. And successful people are self-disciplined people. After a few invest-release-reinvest cycles the amount of time released exceeds the amount needed to reinvest. It is then we have time to spare – and we can do what we choose with that. Ask any successful athlete or entrepreneur – they keep doing it long after they need to – just for the “rush” it gives them. The tool I use, because it is quick, easy and effective, is called The 4N Chart®. And it has a helpful assistant called a Niggle-o-Gram®. Together they work like a focusing lens – they show where the most fertile opportunity for improvement is – the best return on an investment of time and effort. And when we have proved to yourself that the first step of improvement is not as steep as you believed – then we have released some time to re-invest in the next cycle of improvement – and in sharing what we have discovered. That is where the big return comes from. 10/11/2012: Feedback from people who have used The 4N Chart and Niggle-o-Gram for personal development is overwhelmingly positive.